New Hope Academy named national champion after GEICO title, dominant finish to season. There's no perfect system to determine a national champion, and even more so in the fragmented world of high school basketball, with some states allowing some things and other states prohibiting others. 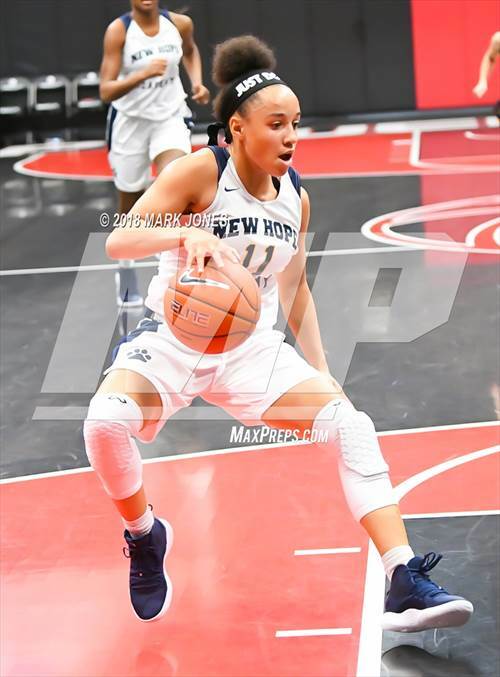 But this year, four of the top five teams in the country finished the year by battling it out in the GEICO National High School Championship, and it's very hard to argue that the survivor, New Hope Academy (Landover Hills, Md. ), should be anything but the final No. 1. See who landed where after last weekend's girls GEICO Nationals. 4) Had a strength of schedule (measured by the MaxPreps' computer) that was two-and-a-half times higher than that of Africentric. 5) One loss came after leaving Maryland to fly to Texas, getting off the plane and then playing two games, one at 3 p.m. and one at 4:30 p.m., against quality Texas teams. The first game was a win, but the second one was a loss. 6) Another loss, to Bishop McNamara, was avenged later in the season. 7) And the third loss, which came after a falling-down 3-pointer at the buzzer in the Nike TOC, was to No. 4 Miami Country Day, which was avenged in the GEICO. There is also no question that New Hope was a much better team at the end of the season than at the start, because the varsity program is only two years old. Many of the players, in fact, were putting on a New Hope uniform for the first time this year, and coach Sam Caldwell said flatly "Early in the season, our chemistry wasn't there. We hadn't really found ourselves yet." But by the time the GEICO rolled around, New Hope was firing on all cylinders and left little doubt as to the identity of the best team in the nation. "This is a special group of kids," said Caldwell. "They deserve it." NOTE: Teams that wish to be recognized either locally or nationally should make sure their information – schedule, results, roster, coach, etc. – is up to date on MaxPreps. If you have any issues, please contact coachsupport@maxpreps.com. It doesn't hurt to have eight Division I players and a coach with a record of success, and when you add in a national-level schedule and the GEICO championship, even three losses can't deny New Hope the No. 1 ranking. The only two losses were to the No. 1 and No. 4 teams in the country, and there were plenty of quality wins along the way. The shots didn't fall, though, against New Hope in the title game, and as coach Jonathan Scribner said afterward, "That is the life of basketball." The big wins came early, and the travel was limited, but an undefeated season, another state championship and the No. 3 overall ranking certainly counts as a spectacularly successful season. An early loss to unranked Tampa Bay Tech and a late loss to No. 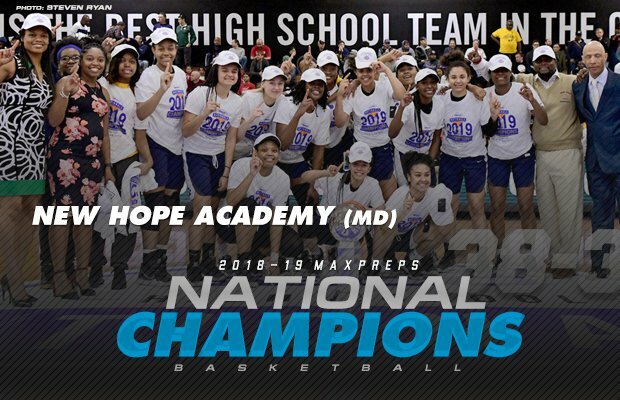 1 New Hope put Miami Country Day in the fourth spot in this final Xcellent 25 — but the Nike TOC title and a Florida championship are achievements to be proud of. Centennial lost once at the Nike TOC, and then by one to No. 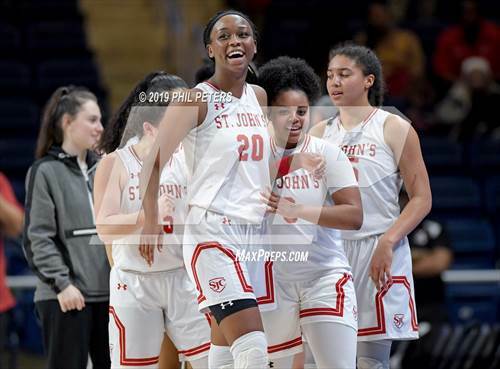 2 St. John's in the GEICO National High School championships — and wound up with another Nevada title and the No. 5 overall ranking. Bishop McNamara has a lot of losses for a No. 6 team, but one was to No. 1 New Hope and the other three were to No. 2 St. John's. The only defeat came at the hands of No. 3 Africentric, but Edison Academy didn't travel enough to rise higher. Some say Mount Notre Dame was the best team in Ohio at season's end, and the 21-point win over No. 20 Pickerington Central in the Division I final was certainly evidence. But the loss to unranked Centerville in mid-January kept Mount Notre Dame from rising any higher. Maine West had the most wins of any undefeated team in the country — but the lack of wins against other elite teams kept the Illinois champs at No. 9. Beaver Dam took one trip to Florida, and lost to No. 4 Miami Country Day by nine in the finals of the Naples Holiday Shootout — and since Wisconsin wasn't that strong this year, the tenth spot seems fair. After losing to No. 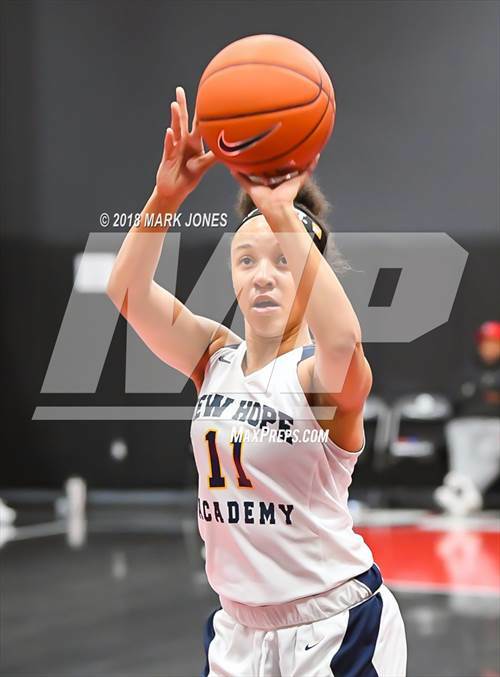 1 New Hope by one in the Nike TOC in Arizona, Christ the King won 22 straight games to claim another Federation championship. Sierra Canyon was not the school anyone expected to win the California Open Division title, but at the end of the year, the Southern California team was the best of the 13,000 or so high schools in the state. Hopkins won its seventh state title en route to an undefeated season, but was prevented from traveling to prove itself on the national stage by Minnesota restrictions. Franklin might have been ranked higher had the New Jersey TOC champ chosen to travel — but 33-0 and No. 14 in the nation isn't a bad year. Texas teams play so many games that it's almost impossible to avoid a stumble, and Mansfield Timberview's slip came relatively early in the 5A playoffs. But the best in Texas still deserves a top 15 ranking. Winning two out of three against St. Frances keeps Roland Park a step ahead of its intracity rival — and note that Roland Park is just one of five DMV teams in the Top 25. There's little margin for error playing in the DMV (District of Columbia/Maryland/Virginia) and it's possible that if St. Frances had been playing its games in another area, this ranking would have been much higher. Traveling to Louisiana and beating the best teams there was the key for Germantown to finish in the Top 20 — oh, and the 30 wins didn't hurt either. Yes, five losses is a lot for a ranked team — but winning the Texas 6A championship more than makes up for them. It was a very good year in Ohio, as Pickerington Central is the third team from the Buckeye State in the top 20. The only loss was to No. 1 New Hope, but lack of serious competition in the rest of the schedule kept Princess Anne from rising higher. There's nothing wrong with 30 wins and an AAAAAAA Georgia title, but to get to the Top 20, the schedule has to be tougher. After an early loss to Hazel Green, Hoover won 31 games in a row — none of them, unfortunately, against other ranked teams. Hamilton Southeastern played only one team from outside Indiana and lost, which is why the ranking is No. 24 instead of a lower number. Winning the Tennessee AAA title is an achievement, and as one of the three losses was to No. 22 Westlake and another was at the Nike TOC in Arizona, Bradley Central did enough to get the final spot in the final ranking.